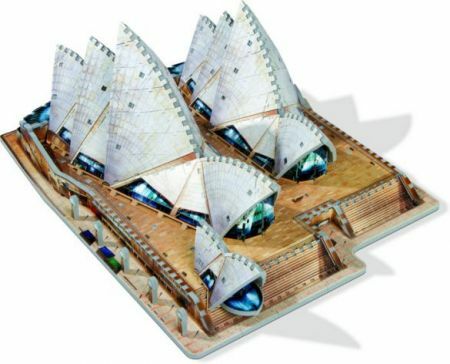 The puzzle pieces are jigsaw shaped pieces and foam-backed to enable it forming into 3D structures. Height of completed puzzle: 43.75 X 56.5 X 22.25 cm (17.25" x 22.25" x 8.75"). For ages 12 - adults.